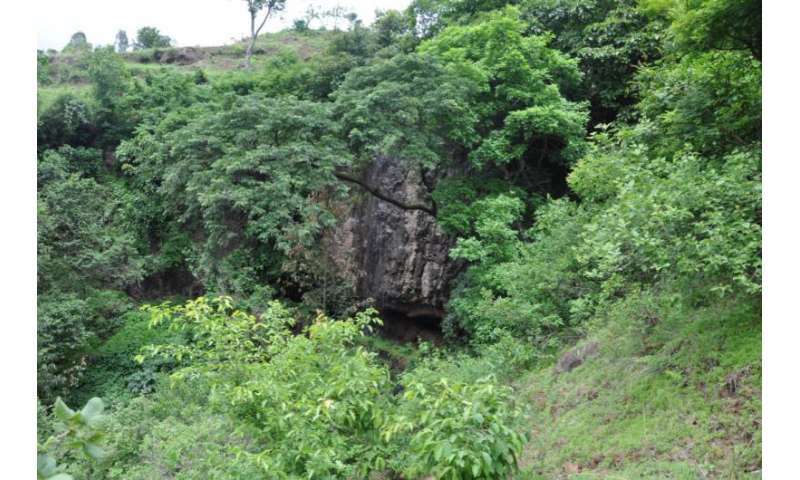 Three years ago, a group of researchers found a cave in Ethiopia with a secret: it held the 4,500-year-old remains of a man, with his head resting on a rock pillow, his hands folded under his face, and stone flake tools surrounding him. The team named the man "Bayira," which means "firstborn" in the Gamo language, a common name in the region. Today, in an article in the journal Science, that research team, supported in part by the National Science Foundation's Social, Behavioral and Economic Sciences directorate (SBE), revealed that there was another kind of treasure within the skeleton. Using DNA extracted from the bones, geneticists working with the researchers have been able to provide the first ancient human genome sequence from Africa. The genome has the potential to provide new clues about how ancient African populations lived and interacted with humans in other parts of the world. Traditionally, population geneticists have reconstructed past human population expansions using genetic information from living populations. They use African populations as the baseline to compare against populations whose ancestors migrated out of Africa. But such reconstructions can be complicated by the fact that many modern African populations have some non-African genes, in large part due to genetic admixture with Eurasians who migrated back into Africa during the last 3,000 years. Bayira, however, predates those recent Eurasian migration events, making him an even better baseline for making inferences about human population history. By comparing Bayira's DNA to that of ancient Europeans and modern populations, the researchers were able to demonstrate that the Eurasians who migrated to Africa descended from populations of Early Neolithic farmers that colonized Europe roughly 7,000 years ago. And they were able to show that the Eurasian migrations into Africa left a larger genetic signature—and reached a broader geographic area—than previously thought. 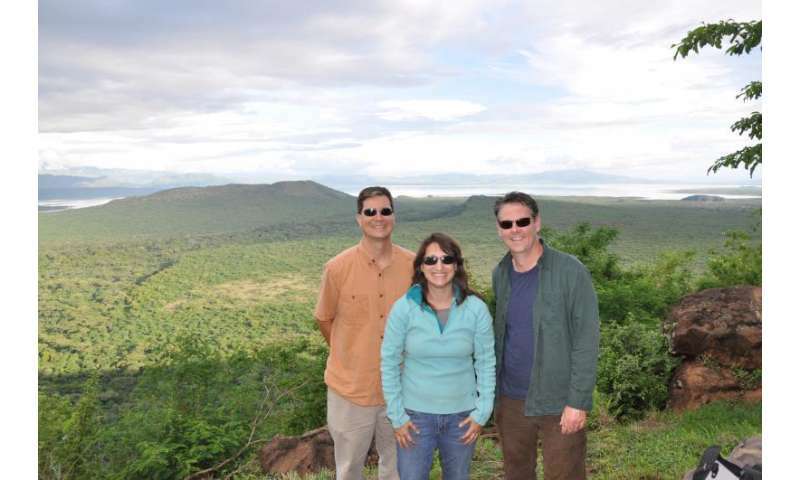 Kathryn Arthur and John Arthur, archaeologists at the University of South Florida St. Petersburg, and their colleagues, including SBE-funded archaeologist Matthew Curtis of Ventura College and UCLA Extension, found the skeletal remains unexpectedly during a research trip to study the culture history of living residents of Ethiopia's Gamo highlands. "When we started working on this project, we had no real conception that it would turn out like this," Kathryn Arthur said. 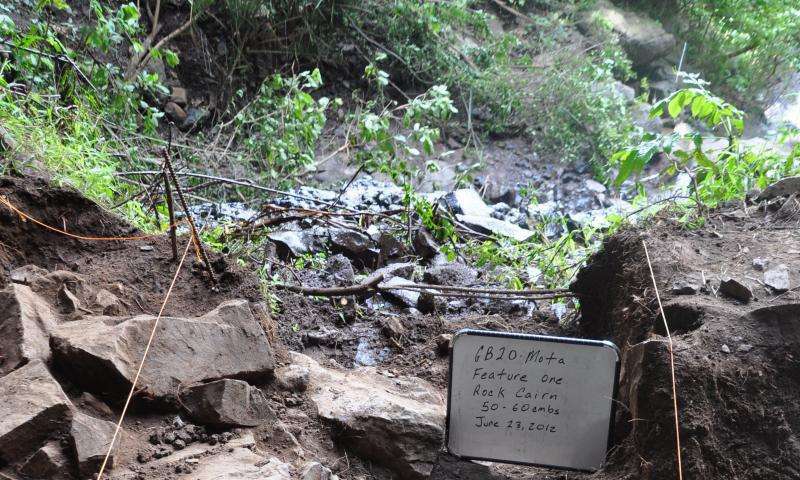 "We weren't looking for human remains. It was very surprising, and very exciting." The skeleton is thousands of years old, but he is a Homo sapiens—a modern human. If he were alive today, "He'd probably be a little smaller than we are in height," she said. "We know that he had brown hair and brown eyes. He'd look pretty much like we do." Kathryn Arthur discussed the work she and research team members—including Mauro Coltorti and Pierluigi Pieruccini of the University of Siena, and Jay Stock of the University of Cambridge—performed in Ethiopia, and some of the mysteries of Bayira that researchers are still working to solve. Q. How did you and your collaborators find Bayira? A. John and I have been working in the Gamo highlands of Ethiopia for 20 years studying artisans. We were doing ethnoarchaeology—looking at potters and stone-tool using leatherworkers—and we noticed that there's a lot of social stratification in Gamo society. We were wondering what the history of that was. We called in Matthew Curtis and together we were awarded our first NSF grant in 2006 and a second in 2010. We began by working with the community, finding significant historical sites. One of the places the people there took me to was Mota Cave, in 2011. They said they used to hide here in the late 19th century and early 20th century during wars. And I thought, "Oh, this place has a dirt floor, it has potential for preserving some artifacts and features from the past." We'd already excavated some other historical sites, and began our excavation of Mota Cave in 2012. In 2012, we came across these human remains with Stone Age tools. We knew from the obsidian stone tools that it was clearly a lot older than what we thought it was going to be. You can find Later Stone Age tools up to about 2,000 years old, but these were clearly more classic Later Stone Age tools. Q. This wasn't someone who happened to die in a cave—your research says it's the earliest burial in southwestern Ethiopia. How did the skeleton look? A. 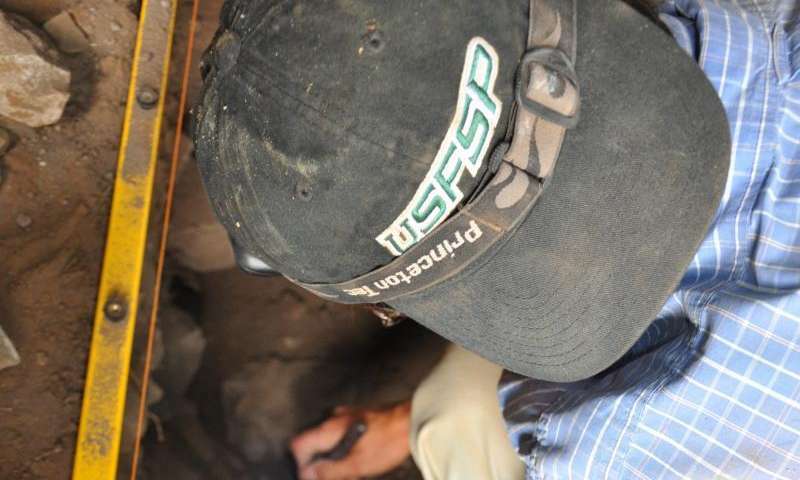 When the team was uncovering the burial, they noticed that he was laying on his side in a crouched position, kind of curled up, with his head on a flat stone. The individual was facing west and in the current culture of the Gamo highlands, that's the direction that women are buried in. Everyone originally thought the remains were of a woman. But of course, when Jay examined him at the National Museum in Ethiopia, he turned out to be a man. After all, we should expect some cultural differences over 5,000 years! Q. What new light does this skeleton shed on the ancient people who lived in those highlands? A. From an archaeological perspective, it gives us some interesting information not just about migrations, but about the life of this individual. It was a highland environment where we found him, and as he dated to nearly 2,000 years before any known food production in the region, he was very likely a hunter-gatherer. We don't know how mobile he might have been—there's very little archaeology for the Holocene epoch [12,000 years to the present] in Southern Ethiopia. Much more of the research there has focused on early hominids. We didn't know if this was someone who moved between the highlands and the lowlands or not. What's interesting is that his genome says he's highly adapted to his environment. That means long-term occupation of the highlands. The highlands see a lot of erosion, so we don't find a lot of intact archaeological sites—and there are not a lot of caves like this with deposits. It's hard to see how densely the highlands were populated. Q. What sort of terrain were you, and Bayira, when he was alive, dealing with? A. It's very mountainous. The top of the highlands is about 9,000 feet. The cave's at about 6,000 feet. It's possible to drive close to the cave, sometimes, depending on the weather and the road. The cave looks into the highlands itself, but you can also see the river and the lowlands. It's a pretty spectacular view. Q. What's genetically significant about Bayira? A. Bayira predates some of the Eurasian population's larger migrations into North Africa—or other interactions with northern populations. The geneticists could use him as a baseline to look at the difference between Bayira, the modern African population, and Neolithic Eurasian populations. This is "genetics-speak," but it's fascinating to me that living populations in Africa have this West Eurasian admixture. To me, that just shows how much interaction the continent has been involved in. It really overturns a lot of stereotypes and tropes we have about Africa being isolated prior to the colonial period. Obviously, they were interacting with other populations in a significant way. It was more than just trade. It was genetic interaction. They were tying their lives together through creating future generations. Q. This must be exciting work, and an exciting discovery, for an archaeologist. A. It is, and we love to do it. It's fun and exciting—not just the excavation, but working with the people who are living there today.